Warrendale (Detroit) Blog: Review - "Forever and a Death"
Like so many great novels, there is a story behind Forever and a Death by Donald E. Westlake that rivals the suspense of the fictional prose itself. Donald Westlake had long ago established himself as one of the grandmasters of the suspense novel. Newsweek proclaimed him to be, "one of the great writers of the 20th century" while the San Francisco Chronicle observed years ago that "Westlake's ability to construct an action story filled with unforeseen twists and quadruple-crosses is unparalleled." It was with that as background that United Artists Studio in Hollywood commissioned Donald Westlake to write an original screenplay for an upcoming James Bond movie. What Westlake eventually produced for them was a thrilling tale of a businessman who seeks revenge against the entire island nation of Hong Kong. Unfortunately, the studio was nervous about the political implications of his story. They stuck his screenplay on a shelf and largely forgot about it. Not wanting to waste what he thought was an exceptionally good story, Westlake converted this tale into a novel with a protagonist other than James Bond. The result of that was this novel, Forever and a Death. Unfortunately, Donald E. Westlake died on December 31, 2008, before this book could be published. After two decades of delay, this story is finally available for readers to savor - complete with an afterword by Jeff Kleeman, one of the producers who helped to connect Westlake with the James Bond project in the first place. One of the things that impressed me about this novel is that, even though Westlake wrote it decades ago, time did not dull its heart-pounding edge. The reader will no doubt notice something that places it as having happened in the not too distant past - with its references to pay phones, fax machines, and other things that have largely disappeared from everyday life - but there is still a thrilling quality to Westlake's writing that is as timeless as ever. The characters are vivid. The dialogue is sharp. The way police inspectors are skeptical at first but eventually swayed into action by the evidence of our villain's plot rings amazingly true. 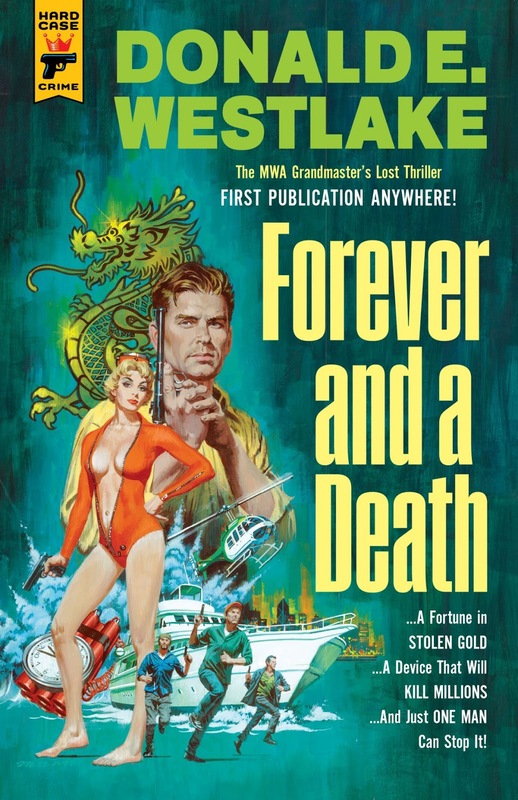 I highly recommend Forever and a Death by Donald E. Westlake for any reader who enjoys James Bond stories, devours the original works of Tom Clancy, or simply loves a good thriller. Forever and a Death by Donald E. Westlake is available from Amazon.com or from your local bookseller.